When it comes to light-duty, full-size trucks, the Ford F-150 stands head and shoulders above the crowd. Not only has this model been on the roads since 1948, but today it is one of the best-selling vehicles in the United States. Depending on the model, a Ford F-150 can do serious towing and hauling on a construction site, or provide comfortable family driving on the daily commute and on long weekend trips. 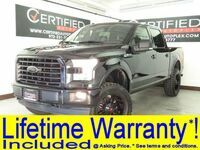 Select models of this great truck also come with the latest in luxury features. With a used Ford F-150 in Carrollton TX, truck shoppers can find all the advantages of this Ford truck at a fraction of the new-pickup price. Our inventory is always changing, and the Ford F-150 is a very popular model. The current available model from 2013 offers power accessories, a spacious interior, and take-no-prisoners V8 power. 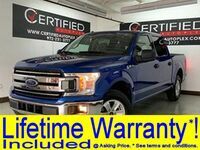 If you are interested in test-driving a Ford F-150 at Certified Autoplex, be sure to reserve your model today before it gets snapped up. You can schedule a test drive by filling out the form on this page or by contacting a member of the Certified Autoplex team today. Not only does the used Ford F-150 in Carrollton TX offer excellent power, but, like most of the models in our high-quality pre-owned inventory, this truck is available with a Lifetime Powertrain Warranty. Here at Certified Autoplex, we know that one of our vehicles may be a huge investment that needs to last you for a long time. While any Ford F-150 offers power and performance guarantees, there are some advantages available specifically on current pre-owned Ford F-150 inventory at Certified Autoplex. Cruise control, running boards, and automatic headlights are all available. Our inventory is constantly changing, so if you don't see the used Ford F-150 that you are interested, be sure to check back in the future to find that ideal truck. And if our current inventory perfectly fits your needs, be sure to schedule a test drive today before our inventory changes! Interested in a Used Ford F-150?